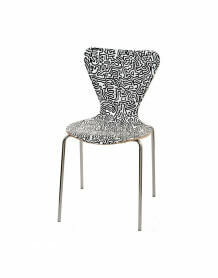 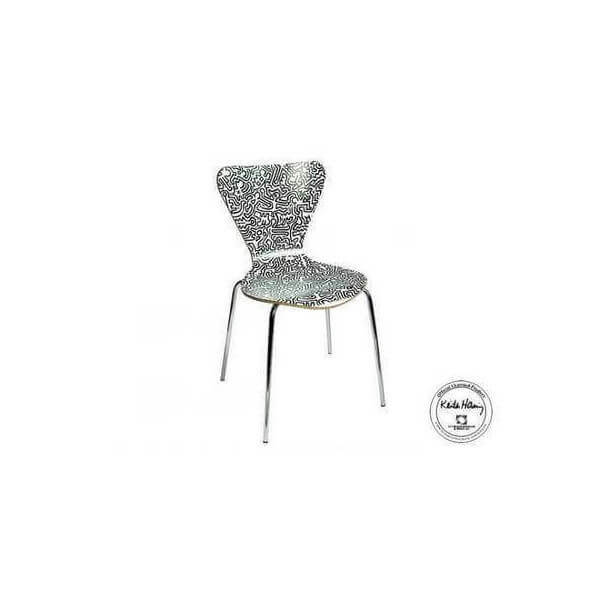 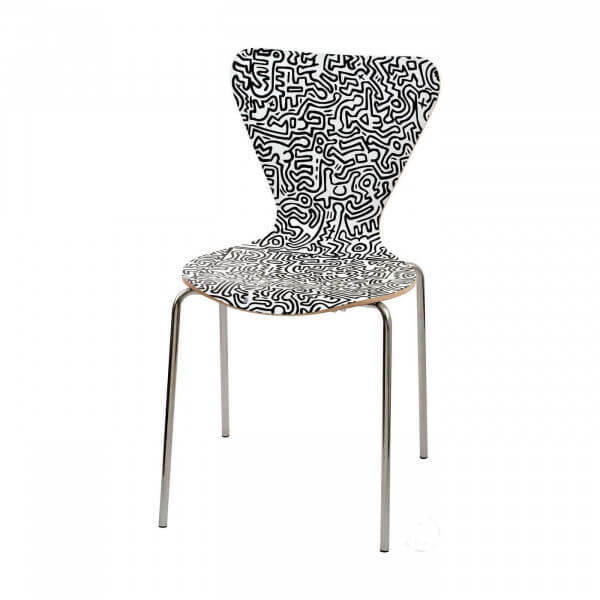 Chair in beech wood with digital printing duplex. 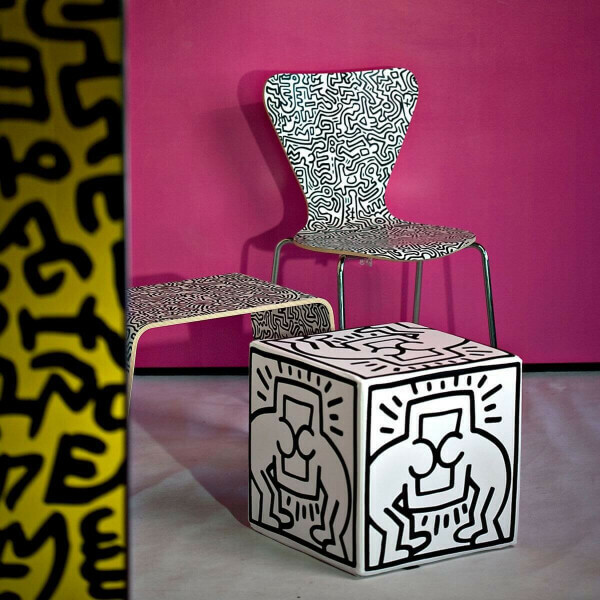 Decor "Graffiti" by Keith Haring (1958-1990) symbolic figure of the young artists, whose work reflects urban culture in the early 80s. 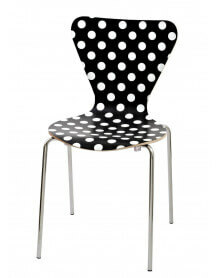 We have limited stock on this article, please contact us to know the time of replenishment.